LAST YEAR: 19-6-9 (1st overall, 1st in the Western Conference). WHO’S BACK: F-MF Chris Wondolowski, F Steven Lenhart, F Alan Gordon, MF Marvin Chavez, D Victor Bernardez, D Justin Morrow, D Steven Beitashour, MF Sam Cronin, M Rafael Baca, G Jon Busch, D Jason Hernandez, D Ramiro Corrales, MF Shea Salinas, MF Sam Garza. WHO’S GONE: MF Simon Dawkins, D Ike Opara, MF Joey Gjertsen, MF Khari Stephenson, D Tim Ward, D Jed Zayner, MF-F Sercan Guvenisik. WHO’S NEW: D Nana Attakora, F Mike Fucito, D Dan Gargan, D Ty Harden, D Tommy Muller, D Peter McGlynn. WHAT’S AHEAD: After posting the best record in the regular season last year, the Earthquakes were bounced out of the playoffs in the Western Conference semifinals by Los Angeles 3-2 on aggregate. Wondolowski is back with a new contract as the team’s designated player after tying an MLS record with 27 goals last season. But the team must overcome injuries early in the season with Gordon, Lenhart, Chavez and Beitashour out with injuries. The Earthquakes also must figure out how to replace Dawkins in the midfield after his move to Aston Villa. That will put added pressure on Chavez, Cronin, Baca and Salinas to pick up the slack. LAST YEAR: 17-11-6 (5th overall, 2nd in the Western Conference). 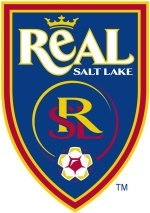 WHO’S BACK: MF Kyle Beckerman, MF Javier Morales, MF Luis Gil, MF Ned Grabavoy, D Chris Schuler, D Tony Beltran, D Kwame Watson-Siriboe, D Chris Wingert, F Alvaro Saborio, G Nick Rimando. WHO’S GONE: F Fabian Espindola, D Jamison Olave, MF Will Johnson, MF Jonny Steele, F Paulo Jr., F Justin Braun. WHO’S NEW: F Robbie Findley, F Joao Plata, MF Aaron Maund, MF Cole Grossman, F Devon Sandoval. fill in the gaps. Gil is being counted on for a breakout year, and Findley is back with a team he scored a dozen goals for when it last reached the MLS Cup in 2009. If the team can keep players healthy, and build that chemistry, it could surprise. LAST YEAR: 15-8-11 (7th place overall, 3rd in the Western Conference). WHO’S BACK: GK Michael Gspurning, D Jhon Kennedy Hurtado, MF Osvaldo Alonso, MF Mauro Rosales, MF Steve Zakuani, MF Mario Martinez, MF Brad Evans, F Eddie Johnson, F David Estrada. WHO’S GONE: F Fredy Montero, D Jeff Parke. WHO’S NEW: MF Shalrie Joseph, D Djimi Traore, D Eriq Zavaleta. WHAT’S AHEAD: MLS Cup or bust? 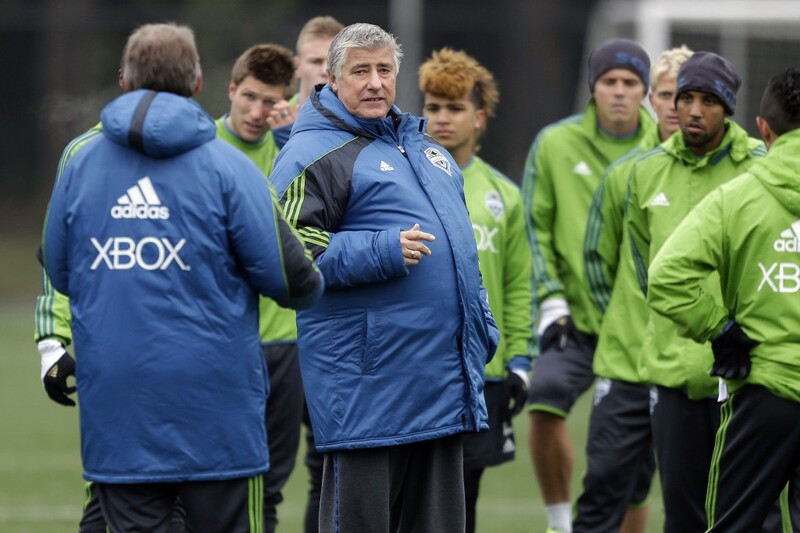 That would seem to be the approach Seattle is taking to the 2013 season and the pressure is on former Galaxy coach Sigi Schmid (seen talking to his team during trai9ning camp, above). General manager Adrian Hanauer said as much recently when noting the roster changes the Sounders made during preseason training and how that could leave them a step behind when they face Mexico’s Tigres in the CONCACAF Champions League in early March, but could pay bigger dividends later in the MLS season. Eddie Johnson returns after a season that reignited his career with 14 goals and a U.S. national team call-up. But gone is forward Fredy Montero and Seattle’s scoring concern has led them to Spain where they are trying to lure Obafemi Martins from Levante. Seattle could have the most talented midfield in the league led by Joseph, Alonso and Rosales. Gspurning was outstanding in his first season, but defensive backline remains a concern with Parke now in Philadelphia. Seattle hopes former Liverpool defender Traore has something left. 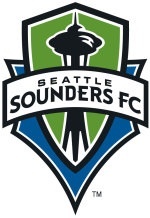 LAST YEAR: 16-12-6 (8th place overall, 4th in Western Conference; won MLS Cup title). WHO’S BACK: F Robbie Keane, F/MF Landon Donovan, D Omar Gonzalez, MF/F Mike Magee, MF Juninho, MF Marcelo Sarvas, D Todd Dunivant, D A.J. DeLaGarza, D Sean Franklin, D Tommy Meyer, MF Michael Stephens, MF Hector Jimenez, D Leonardo, F Jose Villarreal, D Bryan Gaul. WHO’S GONE: MF David Beckham, F Edson Buddle, GK Josh Saunders, D David Junior Lopes, D Andrew Boyens, MF Christian Wilhelmsson, F Chad Barrett, MF/F Pat Noonan, D/MF Bryan Jordan. WHO’S NEW: GK Carlo Cudicini, MF Colin Clark, F Chandler Hoffman, F Gyasi Zardes. WHAT’S AHEAD: The Galaxy seek to become the first MLS club to “three-peat,” but they do so without Beckham, above, who has left for Paris Saint-Germain. The English superstar’s departure hurts more than in marketing. They’ll also miss his ability to precisely deliver balls from any distance. That’s what made L.A. dangerous from nearly any spot on the field. Brazilians Juninho and Sarvas will team up in the middle, pacing a build-up game that will require greater movement, interchange and passing. Donovan’s continued absence, because he was “burned out,” doesn’t help the transition. He’ll be back in camp at the end of March and ought to be back on the field by late April, missing as many as seven league games plus the quarterfinals and possibly semifinals of the CONCACAF Champions League. It appeared Irishman Keane will take over as captain. He was a fiery, veteran goal scorer last season, with 23 in all competitions, and is revered for his ability to finish. The backline returns intact, with a healthy Omar Gonzalez this time, and the Galaxy has improved in the nets, bringing in 39-year-old Italian Carlo Cudicini on a free transfer from Tottenham to replace inconsistent Josh Saunders. LAST YEAR: 11-13-10 (11th place overall, 5th in the Western Conference). WHO’S BACK: F Kenny Miller, F Camilo Sanvezzo, F Darron Mattocks, GK Brad Knighton, D Alain Rochat. WHO’S GONE: F Etienne Barbara, D Martín Bonjour, M/F Atiba Harris, MF Michael Nanchoff, MF Barry Robson, GK Brian Sylvestre, MF John Thorrington, MF Tiago Ulisses. WHO’S NEW: F Tommy Heinemann, F Corey Hertzog, F/M Erik Hurtado, D Brad Rusin, MF Daigo Kobayashi, D Johnny Leveron, F Kekuta Manneh, M/D Nigel Reo-Coker. offense. The Whitecaps signed Scotsman Miller as a designated player in the midst of last season, but he only appeared in 13 matches with two goals. 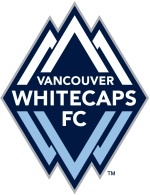 A late addition for the Whitecaps in the preseason was Reo-Coker, who has experience within the English Premier League with West Ham United FC, Aston Villa, and the Bolton Wanderers. LAST YEAR: 9-13-12 (13th place overall, sixth in Western Conference). WHAT’S AHEAD: FC Dallas shook up its roster a bit following a steady two-year slide from the franchise’s first MLS Cup appearance in 2010. 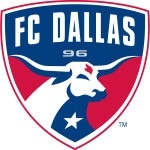 FC Dallas was eliminated early in the playoffs in 2011 and missed the postseason last year. Two-time All-Star Shea is gone to Stoke City in the English Premier League, and the club decided not to re-sign 38-year-old keeper Hartman, who was in net for the long playoff run two years ago. Cooper, a Dallas-area high school star whose father was a Premier League keeper, is back after spending four seasons with Dallas earlier in his career. He had 18 goals for New York last year, matching the career high he had with Dallas in 2008. Cooper and Perez, who led Dallas with nine goals last season, could form a potent scoring combo and might get help from a healthy Ferreira after he missed most of the past two seasons with injuries. Peruvian national team keeper Fernandez figured to be Hartman’s replacement, but last year’s backup, Chris Seitz, has played well in the preseason and could get a shot to be the starter. LAST YEAR: 11-19-4 (14th overall, 7th place in the Western Conference). WHO’S BACK: M Tony Cascio, M Jaime Castrillon, F Kamani Hill, M Pablo Mastroeni, D Drew Moor, M Brian Mullan, GK Matt Pickens, M Martin Rivero, D Marvell Wynne. WHO’S GONE: F Conor Casey, F Omar Cummings, M Jeff Larentowicz. WHO’S NEW: F Deshorn Brown, F Edson Buddle, D Diego Calderon, F Kevin Harbottle, D Kory Kindle, M Nick LaBrocca, M Dillon Powers, M Dillon Serna, M Nathan Sturgis. WHAT’S AHEAD: In his second season in charge, Rapids coach Oscar Pareja has a new-look squad that’s certainly a lot younger. 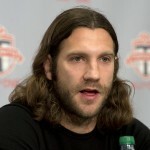 The team parted ways with longtime forwards Conor Casey and Omar Cummings, two dynamic scorers who helped Colorado win the 2010 MLS Cup. Casey, the franchise’s all-time leading scorer, now plays for Philadelphia, while Cummings was traded to Houston two months ago in a deal that brought midfielder Nathan Sturgis to town. 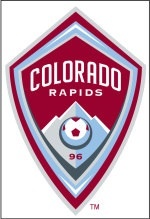 The Rapids also acquired forward Edson Buddle from the Galaxy to provide some offensive punch. They also will depend quite heavily on first-round pick Deshorn Brown, a dynamic scorer who had 13 goals in 16 games in his only season at the University of Central Florida last year. To mentor and mold the youthful squad, the Rapids will rely on Pablo Mastroeni, who missed most of last season with post-concussion symptoms. Mastroeni has been a member of Colorado since 2002. Back in net for the Rapids will be Matt Pickens. He came up big, time after time, last season. He stopped 107 shots — many of the highlight variety — and was named team MVP. LAST YEAR: 8-16-10 (17th overall, eighth in the Western Conference). WHO’S BACK: MF Jack Jewsbury, MF Andrew Jean Baptiste, MF Diego Chara, GK Donovan Ricketts, F Darlington Nagbe, F Kalif Alhassan. WHO’S GONE: M Eric Alexander, F Kris Boyd, M Freddie Braun, D Kosuke Kimura, D Eric Brunner, M Lovel Palmer, D Steve Purdy, D Steve Smith, GK Joe Bendik, F Robbie Findley, F Mike Fucito. WHO’S NEW: D Michael Harrington, M Will Johnson, F Ryan Johnson, GK Milos Kocic, M Steven Evans, D Ryan Miller, D Dylan Tucker-Gangnes, M Diego Valeri, M Ben Zemanski, MF Michael Nanchoff, D Mikael Silvestre. WHAT’S AHEAD: Coach Caleb Porter finally takes the helm of the Timbers this season. He was hired last August but finished out his seventh season as coach at the University of Akron before moving West. Porter guided the Zips to an 18-1-3 record, the Mid-America Conference championship and into the third round of the NCAA tournament. He joins former Zips midfielder Nagbe, heading into his third season with the Timbers. Porter also brought in former Akron players Zemanski and Nanchoff. The acquisitions were part of a house-cleaning as Porter looks to build his own team. One of the key additions is Valeri from Argentina’s first division Club Atletico Lanus. The 26-year-old has been with Lanus nine seasons, scoring 25 goals in 158 matches. It is hoped that Valeri will help scoring for a team that was second-to-last in goals scored last season. The Timbers let go of Scottish striker Boyd, the team’s leading scorer (seven goals), but who failed to live up to expectations. LAST YEAR: 7-18-9 (18th overall, 9th in Western Conference). 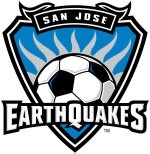 WHO’S GONE: F Juan Pablo Angel, D Danny Califf, MF Nick LaBrocca, MF/D Shalrie Joseph, F Alejandro Moreno, MF Ben Zemanski, D Ante Jazic, D James Riley, MF Ryan Smith, D John Valencia<NO1>ZZSC<NO>, F Casey Townsend, F Cesar Romero. WHO’S NEW: D Walter Vilchez, D Joaquin Velazquez, MF/D Eric Avila, F Giovani Casillas, D Mario de Luna, MF Edgar Mejia, D Steve Purdy, MF Carlos Alvarez, D Carlos Borja, MF Josue Soto, MF Emilio Orozco. WHAT’S AHEAD: The lowly Goats have made a philosophical shift after three horrid years, with a roster overhaul and a new coach. Fiery Mexican coach Jose Luis “El Chelis” Sanchez Sola takes over for Robin Fraser, who went 15-32-21 in two seasons and last year finished at the bottom of Western Conference. Sanchez Sola has implemented a speedy, aggressive style of play and brought on Latin American talent while excising nearly a dozen players. The newcomers include top-flight Mexican veterans Vilchez, a Peruvian national team defender who arrives from Sporting Cristal, and Velazquez, who hasn’t played since 2010. Chelis coached both at Puebla. Velazquez officially arrives on loan from Guadalajara, as do de Luna, Mejia and 19-year-old Casillas, who was part of Mexico’s U-17 World Cup champions two years ago. 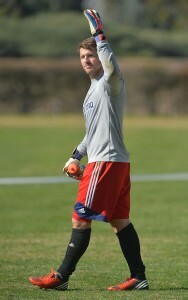 The captain is Kennedy, one of MLS’s best goalkeepers. Minda is among the premier defensive midfielders in the league, and attacking midfielder Bolaños and forward Agudelo have superstar potential. LAST YEAR: 18-7-9 (2nd place overall, 1st in the Eastern Conference). 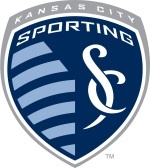 WHO’S BACK: GK Jimmy Nielsen, D Matt Besler, D Chance Myers, D Seth Sinovic, D Aurelien Collin, MF Paulo Nagamura, MF Graham Zusi, F Bobby Convey, F Teal Bunbury, F Dom Dwyer, F Soony Saad. WHO’S GONE: D Roger Espinoza, D Julio Cesar, MF Konrad Warzycha. WHO’S NEW: D Josh Gardner, MF Mikey Lopez, MF Benny Feilhaber, F Claudio Bieler. Armstrong, on its stadium as part of a naming-rights deal. The Livestrong name has since been removed and the stadium is now known simply as Sporting Park. LAST YEAR: 17-10-7 (3rd place overall, 2nd in the Eastern Conference). WHO’S BACK: GK Bill Hamid, D Robbie Russell, D Daniel Woolard, D Brandon McDonald, D Dejan Jakovic, D Chris Korb, MF Dwayne De Rosario, MF Nick DeLeon, MF Perry Kitchen, MF Marcelo Saragosa, F Lionard Pajoy, F Chris Pontius. WHO’S GONE: MF Andy Najar, MF Branko Boskovic, F Hamdi Salihi, F Maicon Santos, D Emiliano Dudar. WHO’S NEW: F Carlos Ruiz, F Rafael, F Casey Townsend, MF Syamsir Alam, MF John Thorrington, D Taylor Kemp, D James Riley, MF Marcos Sanchez. WHAT’S AHEAD: Despite making lots of moves on and off the field, United have essentially the same core of players who rallied late in the season to end a four-year playoff drought and advance to the Eastern Conference finals — a run that was all the more remarkable when considering that captain and then-reigning MLS MVP Dwayne De Rosario was sidelined with a knee injury. There have been changes in ownership and the front office during the offseason, and the seemingly endless quest for a new stadium continues, but coach Ben Olsen returns with a roster full of youthful promise and momentum on its side. Hamid (22), Kitchen (20), DeLeon (22) and Pontius (25) are among the names to watch, but United also took a chemistry gamble by signing Ruiz, the polarizing former league MVP who is back after a year out of the league. It’s been nine years since United’s last MLS Cup title, but Olsen has the squad headed in the right direction. LAST YEAR: 16-9-9 (tie for 4th overall, tie for 3rd in the Eastern Conference). WHO’S BACK: F Thierry Henry, MF Tim Cahill, MF Connor Lade, MF Dax McCarty, GK Ryan Meara, MF Lloyd Sam, D Roy Miller, D Markus Holgersson, D Brandon Barklage, D Heath Pearce. WHO’S GONE: Head coach Hans Backe, F Kenny Cooper, D Rafa Marquez, MF Joel Lindpere, D Stephen Kiel, MF Sebastien La Toux, GK Bill Gaudette, MF Teemu Tainio, MF Jan Gunnar Solli, D Victor Paulssen. WHO’S NEW: Head coach Mike Petke, MF Juninho, D Kosuke Kimura, D Jamison Olave, MF Eric Alexander, MF Michael Bustamante, MF Ruben Izquierdo, MF Jonny Steele, F Fabian Espindola, MF Ian Christianson. instantly with Henry and Cahill. LAST YEAR: 17-11-6 (6th place overall, 4th in the Western Conference). WHO’S BACK: MF Logan Pause, D Gonzalo Segares, MF Chris Rolfe, D Arne Friedrich, D Austin Berry, GK Sean Johnson, F Sherjill MacDonald, F/MF Patrick Nyarko. WHO’S NEW: MF Jeff Larentowicz , MF Joel Lindpere. WHAT’S AHEAD: With 19 players back, the Fire are looking to make the playoffs for the 13th time in 16 seasons. They boast last season’s Rookie of the Year in Berry, elite defenders in Friedrich and Segares, and a top-tier goalie in Johnson. One area they were looking to beef up in the offseason was the central midfield with Pardo retiring, and they addressed that by bringing in Larentowicz and Lindpere. WHO’S BACK: GK Tally Hall, MF Corey Ashe, D Bobby Boswell, F Will Bruin, MF Ricardo Clark, F Brian Ching, D Warren Creavalle, MF Brad Davis, MF Boniek Garcia, MF Adam Moffat, D Kofi Sarkodie, D Jermaine Taylor, F Cam Weaver. WHO’S GONE: MF Colin Clark, D Andre Hainault, F Macoumba Kandji, F Colin Rolfe, MF Josue Soto, MF Je-Vaughn Watson. WHO’S NEW: D Eric Brunner, F Omar Cummings, MF Andrew Driver, F Jason Johnson. WHAT’S AHEAD: The Dynamo survived an opening seven-game road trip, then went undefeated at home in MLS play in 2012 (13-0-6). Houston reached the MLS Cup final and lost to the L.A. Galaxy for the second straight season. With most of the key pieces back in place, the Dynamo should be a lead contender to win the Eastern Conference again. Bruin led Houston with 12 goals and Davis ranked fifth in MLS with 12 assists. Garcia, a regular on the Honduran national team, made 17 starts in his first season with Houston in 2012 and finished with four goals and six assists. Cummings, a Jamaican speedster, scored 39 goals in six seasons with Colorado. He led the Rapids with 14 goals in 2010 and helped Colorado win its only MLS Cup. He’s expected to join Bruin in the starting lineup. The left-footed Driver, on loan from Scottish Premier League team Hearts of Midlothian, adds depth to the experienced midfield. Driver has 18 goals in 143 appearances for Hearts. The Dynamo are unbeaten in their last 25 games in Houston and start the 2013 season with three of their first four games at BBVA Compass Stadium, which opened last year. LAST YEAR: 15-12-7 (10th place overall, 6th in the Eastern Conference). WHO’S BACK: MF Bernardo Anor, F Jairo Arrieta, MF/F Ethan Finlay, MF Eddie Gaven, MF/D Eric Gehrig, GK Andy Gruenebaum, F Federico Higuain, D Chad Marshall, MF Justin Meram, MF Danny O’Rourke, F Aaron Schoenfeld, MF Tony Tchani, D Josh Williams. WHO’S GONE: D Rich Balchan, MF Chris Birchall, MF Dilly Duka, F Tommy Heinemann, GK William Hesmer, D Julius James, D Carlos Mendes, D Sebastian Miranda, MF Milovan Mirosevic, F Emilio Renteria, F Olman Vargas, D Nemanja Vukovic. WHO’S NEW: D Chad Barson, D Drew Beckie, D Glauber Berti, F Ryan Finley, MF Matias Sanchez, MF/F Dominic Oduro, MF Wil Trap, MF/D Agustin Viana, D Tyson Wahl. WHAT’S AHEAD: Optimism abounds despite missing the playoffs last season for the first time since 2007. The Crew hopes history repeats because the last time it missed the postseason, the next year they not only qualified for the playoffs but won its only MLS Cup. This may be the most talented and deepest squad since 2008. Like that championship season it may be an Argentinian forward to lead the way: Higuain was named the MLS Newcomer of the Year despite playing only 13 matches (11 starts) in which he had five goals and seven assists. He will have a full season to partner with another late 2012 addition, Arrieta, who tied Gaven for the team lead in goals (nine) in only 18 games. The additions of South Americans Berti, Sanchez and Viana plus MLS veteran Wahl brings experience and toughness to a defense side that relied too heavily on Gruenebaum (1.26 GAA, eight shutouts), who led MLS with 124 saves and was fifth in save percentage (.075). Oduro comes to the Crew via a trade with Chicago for the inconsistent Duka and provides speed on the flanks unseen for years in Columbus as the team looks to support its forwards. LAST YEAR: 12-16-6 (12th place overall, 7th in the Eastern Conference). 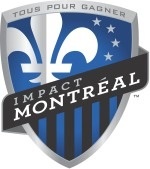 WHO’S BACK: MF Patrice Bernier, MF Felipe Martins, F Marco DiVaio, D Alessandro Nesta, D Matteo Ferrari, GK Troy Perkins. WHO’S GONE: F Bernardo Corradi, D Josh Gardner, F/M Lamar Neagle, D Shavar Thomas. WHO’S NEW: F Andrea Pisanu, F Andres Romero, M Blake Smith, D Maxim Tissot. acquired last August from the Portland Timbers, also has had a chance to get used to the team. Canadian Bernier had a breakout season last year with nine goals and eight assists in 27 matches. He earned MLS Player of the Month honors for August. The Impact selected midfielder Blake Smith with the eighth overall pick in this year’s MLS Super Draft out of New Mexico. LAST YEAR: 10-18-6 (15th place overall, 8th in the Eastern Conference). WHO’S BACK: GK Zac MacMath, F Jack McInerney, F Jimmy McLaughlin, F Antoine Hoppenot, F Chandler Hoffman, F Cristhian Hernandez, MF Brian Carroll, MF Danny Cruz, MF Keon Daniel, MF Michael Farfan, MF Greg Jordan, MF Michael Lahoud, MF Amobi Okugo, MF Roger Torres, D Chris Albright, D Gabriel Farfan, D Ray Gaddis, D Bakary Soumare, D Sheanon Williams. WHO’S GONE: MF Gabriel Gomez, D Porfirio Lopez, MF Zach Pfeffer, D Carlos Valdes, F Josue Martinez, F Krystian Witkowski, MF Freddy Adu. 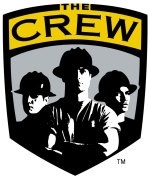 WHO’S NEW: F Sebastien Le Toux, F Conor Casey, D Jeff Parke, F Aaron Wheeler. harbor playoff aspirations for the second time in four years. The schedule is difficult in the early part of the season, which will be a challenge for manager John Hackworth, who took over for Peter Nowak last June and was offered the full-time position in August. LAST YEAR: 9-17-8 (16th place overall, 9th in the Eastern Conference). WHO’S BACK: GK Matt Reis, D Chris Tierney, D Kevin Alston, D A.J. Soares, MF Lee Nguyen, MF Jerry Bengston, MF Clyde Simms, MF Kelyn Rowe, MF Ryan Guy, F Saer Sene, F Diego Fagundez, F Chad Barrett. WHO’S GONE: MF Benny Feilhaber, MF Shalrie Joseph, D Flo Lechner, MF Fernando Cardensas, MF Blair Gavin. WHO’S NEW: D Andrew Farrell, F Dimintry Imbono, D Jose Goncalves, MF Kalita Cisse, MF Andy Dorman, MF Juan Toja. WHAT’S AHEAD: New England has missed out on the MLS playoffs for three straight seasons, winning just nine, five and nine matches respectively; Second-year head coach Jay Heaps re-acquired Dorman (2004-07 with New England) and signed MLS veteran Barrett to provide some stability in the midfield. First-round draft pick Farrell, the Big East defender of the year last season, could be an immediate starter. The big question is goals: New England had the third fewest (39) in the East. Sene had a breakout first MLS season, while Bengston has been a prolific scorer with Honduras National Team, but had just two goals in 13 matches last season. New England has to avoid an annual mid-summer swoon which takes them out of playoff contention, Revolution was 1-7-4 over a mid-season stretch which nullified a 3-3-3 finish. WHO’S BACK: D Darren O’Dea, MF Terry Dunfield, F Luis Silva, F Danny Koevermans, D Richard Eckersly, GK Stefan Frei. Avila, F Ryan Johnson, GK Milos Kocic, F Joao Plata, F Eric Hassli. WHO’S NEW: F Justin Braun, GK Joe Bendik, D Danny Califf, D Gale Agbossoumonde, M Júlio César, M Kyle Bekker, F Emery Welshman. WHAT’S AHEAD: Last season was a disappointment for the Reds, who opened with nine straight losses before closing with a 14-game winless streak. The team’s five victories were a franchise low. Along the way, the team fired coach Aron Winter while key players including Frings (at left, announcing his retirement due to a lingering hip injury earlier this week) and Koevermans were injured. As a result, Toronto FC cleaned house, starting from the top. 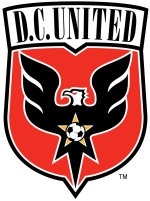 Kevin Payne from D.C. United was named the team’s new general manager and president, and Ryan Nelson, who has played for the last seven seasons in the English Premier League, became a first-time coach. Designated players Frings and Koevermans are the most experienced returnees but are still recovering from injuries, so Nelson may have a tough go at the start. Koevermans, with 17 league goals in 26 games over the past two seasons, isn’t expected back from knee surgery until June or July. Toronto FC gave up a league-high 62 goals last season, so the team is looking toward Irish defender Darren O’Dea, acquired last August, for help now that he’s more acclimated. The Reds also hope for continued improvement from Luis Silva, who had five goals and five assists as a rookie last year. MLS Fan Frenzy: Supporters like these in Seattle are the reason the domestic game is surging in popularity (AP File Photo). With no David Beckham or the buzz of a team expansion, the 2013 Major League Soccer season that begins this weekend might seem ho-hum because of its stability. But this year begins a new chapter, focused on developing the quality of play and continuing to raise the profile of a league that officials hope will become among the planet’s elite within 10 years. The season begins Saturday with Philadelphia hosting Kansas City. That’ll be followed by a Canadian showdown with Vancouver hosting Toronto, Houston vs. DC United, FC Dallas vs. Colorado, Chivas USA vs. Columbus and Seattle vs. Montreal. Sunday, defending champion Los Angeles hosts Chicago, Portland welcomes New York and San Jose faces Real Salt Lake. New England has a bye the first week of the season, while Seattle, Los Angeles and Houston have byes in Week 2 while participating in the CONCACAF Champions League. For the first time since 2005, expansion is not a story line. After successful entries into Houston, Toronto, San Jose, Seattle, Philadelphia, Portland, Vancouver and Montreal, the league is standing firm at 19 teams. MLS wants its 20th team to be in New York, although there is an increased effort in Orlando that could eventually lead to the league filling a geographic hole in the Southeast. “I think they remain a very good potential MLS ownership group and Orlando is an intriguing market,” Garber said. Instead of expansion, the talk entering the season is investment. The league announced Wednesday its intent to raise the quality of play and infrastructure to make MLS one of the world’s top leagues by the ambitious date of 2022. The goal was originally supposed to coincide with a successful World Cup bid. The U.S. won’t be hosting that tournament — Qatar will — but MLS is sticking with its plan. There are other leagues taking notice of the improved quality in the league in recent seasons. Four players — Brek Shea, Geoff Cameron, Lawndale’s Kei Kamara and Roger Espinoza — are all playing in the Premier League rather than the MLS. But the league is quick to point out its success in retaining many of its to players and have some top American and Canadian players return from overseas to play in MLS. While the depth of players is arguably at its peak, there are no obvious favorites entering the 2013 season. The Galaxy starts the year seeking to become the first team to win three straight MLS Cup titles, but its squad will have a different look than the one that hoisted the title last December. 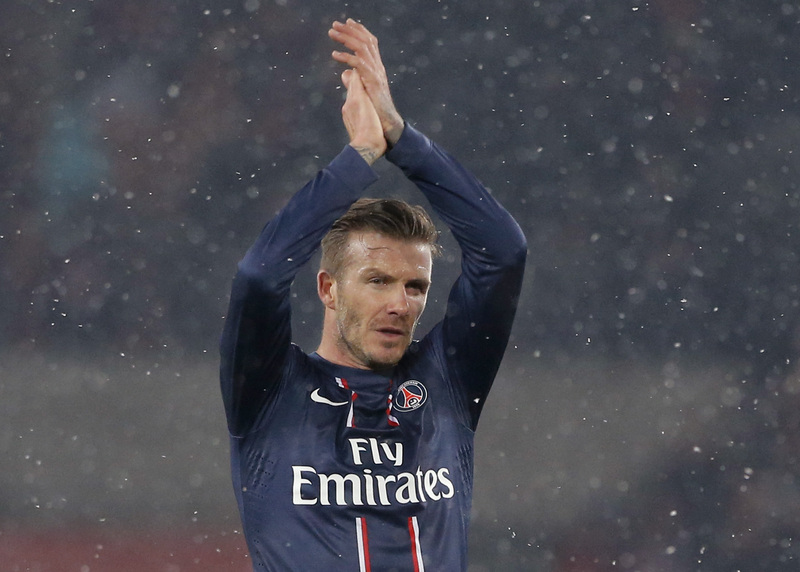 Beckham is now at Paris Saint-Germain and it’s unclear how long before midfielder Landon Donovan will be ready to actually contribute. Donovan is expected to join the Galaxy at the end of March following a personal sabbatical away from the game, but two months of the season could be lost before he finally plays. A slow beginning to the season didn’t dampen the Galaxy’s title hopes a year ago. Los Angeles got off to a miserable start, only to find its form mid-season and ended up rolling to a second consecutive title. The Galaxy headline a loaded Western Conference. Seattle will enter the season with a roster still in flux thanks to the late acquisition of former All-Star Shalrie Joseph. Eddie Johnson reignited his career a season ago with 14 goals for Seattle and it may possess the most talented depth of midfielders in the league, but forward Fredy Montero is on loan in Colombia and defender Jeff Parke is now in Philadelphia. 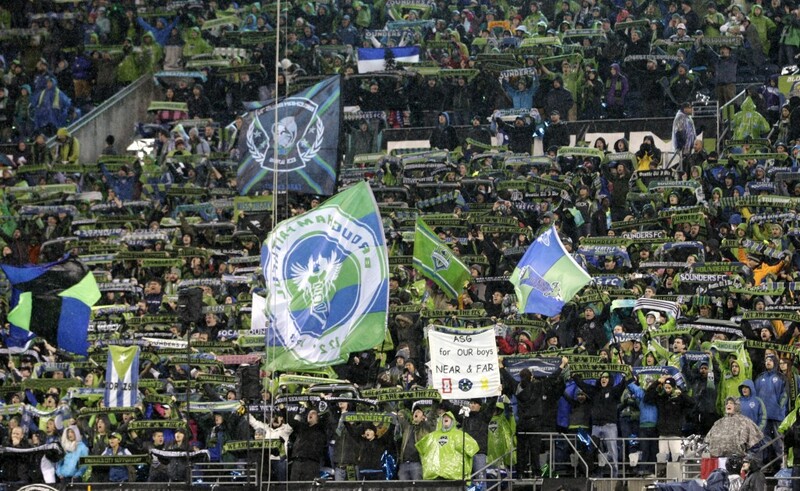 Seattle’s management has made clear its focus this year is on the MLS Cup. The team getting little talk before the season begins was the best one a year ago. San Jose rolled to the Supporters thanks largely to the Most Valuable Player season of Chris Wondolowski, who finished with 27 goals in the regular season, and returns most of its lineup. Portland should be improved under new coach Caleb Porter, while Real Salt Lake was forced by salary cap constraints to make offseason changes. In the Eastern Conference, Kansas City was hit hardest by player movement, losing both Espinoza and Kamara to Premier League clubs for now. But KC also has one of the best defenses in the league and the majority of its roster back. Columbus could be on the rise again thanks to striker Federico Higuain, while Houston is a two-time MLS Cup finalist that was undefeated in its new stadium last season. DC United might have the most potent offensive attack in the East, led by Dwayne De Rosario. New York underwent a significant offseason transition. Hans Backe is gone as coach, replaced by Mike Petke. Thierry Henry returns for his third full season while Kenny Cooper and Rafa Marquez are gone. Australia’s Tim Cahill will be in his first full season with the Red Bulls after signing last summer from Everton in the hopes of finally finding a postseason breakthrough. They are midfielders Josue Soto, 24, who last year played for the NASL’s San Antonio Scorpions after being originally drafted by the Houston Dynamo, and Emilio Orozco, 20, an Oxnard native. Orozco, was a U-17 and U-20 U.S. international, previously with Mexican side Tigres and, most recently, the Fort Lauderdale Strikers. As usual, contract terms were not disclosed. 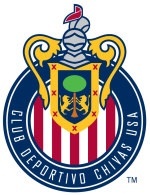 Chivas USA has been loading up with players of Latino heritage since CD Guadalajara owner Jorge Vergara took over as the MLS club’s sole owner and installed the club’s first Mexican coach. Will Lawndale’s Kei Kamara slay Manchester United again — this time in the EPL? EPL side Norwich City are picking up fans in Sierra Leone and the native of the war-torn nation, Kei Kamara, of South Bay high school and Cal State Dominguez Hills renown, is doing the same in England after two brief, but galvanizing performances for the top tier club. The Canaries play EPL leaders Manchester United this weekend (live at 7 a.m. Saturday on ESPN2) and Kamara’s performance for Sporting Kansas City against the Red Devils in a friendly a couple of years ago is among the local media’s talking points ahead of the big game. Hoping to build on their best season in more than a decade, the Chicago Fire will come into Home Depot Center Sunday against the LA Galaxy with an experienced and revamped midfield. Questions remain for the Fire at right back, however. Incidentally, if you’re planning on watching the 2 p.m. Sunday game, be aware Univision has switched it to the UniMas channel, which isn’t distributed as widely. Check with your TV provider. However, Time Warner Cable announced today that it has picked up the game for English language viewers. Its broadcast team this year is former Earthquakes play-by-play man John Schrader and former Galaxy winger Cobi Jones, who will allegedly provide the color commentary. I say allegedly because Jones isn’t particularly colorful and is more than deferential to his former employer. And if continues to says “offsides” when he really means just one offside I will metaphorically reach into the TV and rip out his vocal cords (or something like that). Guess he won’t return for the Galaxy’s MLS opener this weekend. We did it homie @jayy_villa !! Less than 48 hours after Chivas USA coach Chelis said he wouldn’t be adding more players to the roster in the run-up to Saturday’s MLS opener — he added a pair of players to the squad. Both are known quantities who have played for Chelis before: center back Joaquin Velazquez, 37, and Peruvian international left back Walter Vilchez, 31, played for Puebla when Jose Luis Sanchez Sola guided the club to the top tier of Mexican soccer in 2007. Vilchez has 64 caps, is a five-time champion in Peru and made his pro debut in 2000 for Deportivo Wanka, while also appearing for Cruz Azul. Chivas USA opens MLS play against Columbus Saturday in Carson; it’s unclear whether the pair will receive the necessary paperwork in time to allow them to play in the game. To get you in the mood for the season even more, a reminder the Galaxy will unveil their second strip at LA Live Wednesday evening. Tickets are $75. Details here. 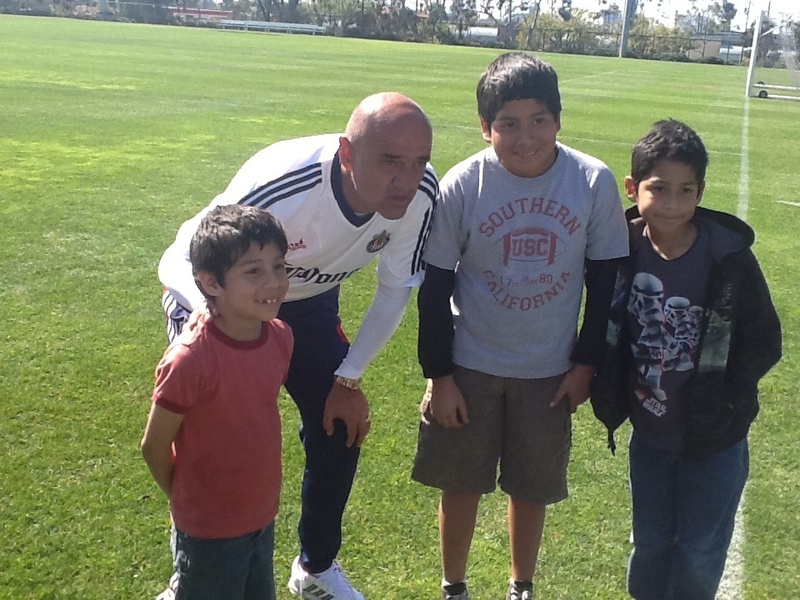 New Chivas USA coach Jose Luis Sanchez Sola is popular with fans now, but his continued popularity will rest on resurrecting the fortunes of the moribund club. After last year’s poor start to the season — coach Bruce Arena Monday described it bluntly as a “mess” — the Galaxy stayed close to home for scrimmages and practices, never venturing out of Southern California. The goal is to orient the team for the Galaxy’s fast start to the year, which will see it play its MLS opener Sunday and then resume CONCACAF Champions League play just four days later in Costa Rica. The schedule makers then kindly gave the Galaxy an early bye week to recover for the second leg of the regional tournament a week later, which comes just four days ahead of the first SuperClasico of the year against Chivas USA. “It’s important you try to keep you head above water instead of sinking,” Arena said. “I would not recommend starting seasons the way we did last year. 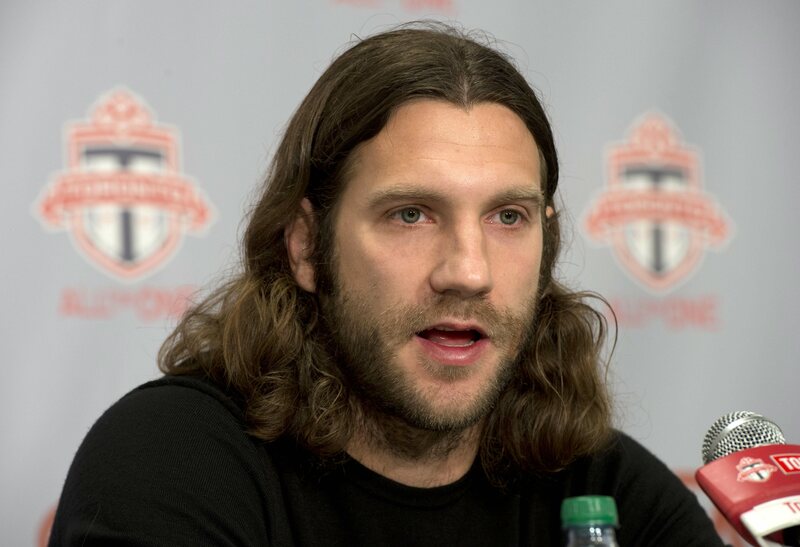 “We’re not going to replace Beckham and we’re also not going to replace Donovan. … We will miss Landon’s qualities and hopefully we can still get off to a good start. The Goats’ preparations for the season have been considerably more frantic considering the rebuilding job necessary to overhaul a last place team. For instance, the club announced only late last Friday that it had picked up contract options on seven returnees: forwards Juan Agudelo and Tristan Bowen; midfielders Jorge Villafaña and Marvin Iraheta; defender Bobby Burling; and goalkeepers Tim Melia and Patrick McLain, while waiving defender Rauwshan McKenzie. 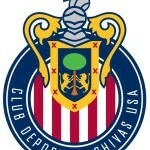 Earlier that same day Chivas USA announced they had signed three Mexicans from CD Guadalajara. Chivas USA then remain very much a work in progress, although the club doesn’t expect any more additions to the 27-player squad before opening day. “This is going to be a little more aggressive (of a style) toward goal and were definitely going to learn a lot about ourselves getting up and pressuring other teams,” club captain Dan Kennedy said. 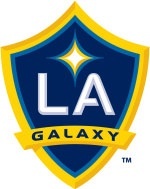 For more on the Galaxy, Chivas USA and the start of the MLS season, read today’s column.